An accessible new reference for students, The Young Oxford Library of Science is an 11-volume set that offers easy-to-find information on the physical, chemical, and biological sciences. Each volume explains its subject in language that is easy to understand and is written by its own expert author. Together, these volumes form a comprehensive library of basic knowledge on all aspects of science and how it applies to our daily lives. In addition, the reference volume includes nearly 250 important inventors and discoverers listed with dates, nationality, and major invention and discovery, and a further reading list and useful websites, sorted by subject matter tied in to each volume. Grade 5-8-A basic introduction to the physical, chemical, and biological sciences and how they apply to our daily lives. Each volume focuses on a particular subject such as: Plants and Animals; Land, Sea and Air; Atoms and Elements; Stars and Planets; etc. 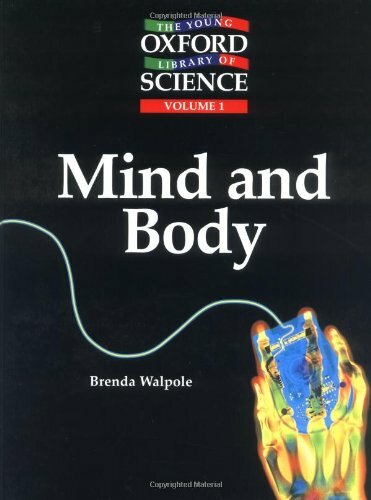 Mind and Body includes 24 articles on topics such as bones and muscles, the brain and nerves, genetics, human reproduction, cancer, and surgery. The more than 300 articles range in length from one to three pages. All articles include a list of key words; highlighted facts; abundant full-color drawings, photographs, and diagrams; and occasional maps, charts, and graphs. Volume 11 includes a cumulative index as well as a hodgepodge of ready-reference material not found elsewhere in the set such as lists of recycling codes and common diseases; tables of galaxies, chemical elements, constellations, and oceans and seas; and an alphabetical list of inventors and their discoveries. Suggested Web sites are organized by topic. While most of the material in these volumes can be found in multiple reference sources and in greater depth, libraries wanting quick access to illustrated introductory information may find the books useful.